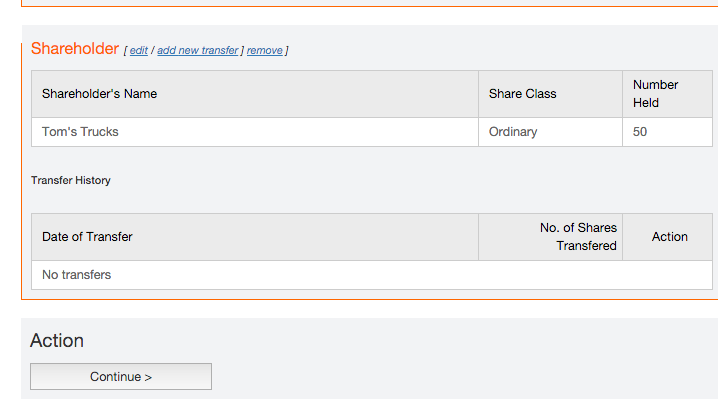 Complete both the Company Details and Statement of Capital section until you reach the Shareholdings page. Please note: the confirmation statement is only for updating information. Therefore, please ensure you have either completed an issue of shares or transfer of shares, before to completing the confirmation statement. 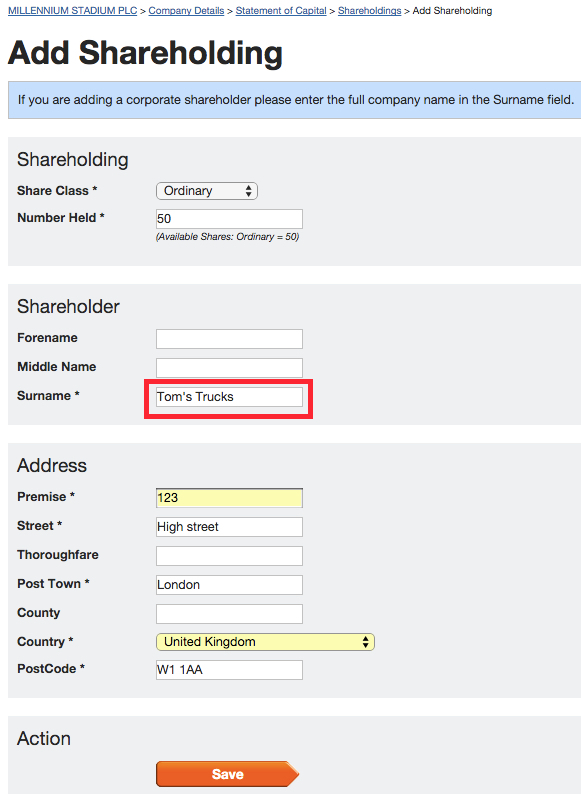 Enter the shareholder information, ensure to enter the company name in the Surname field (no need to enter forename or middle name) and click Save. Click Continue to complete the rest of the confirmation statement. 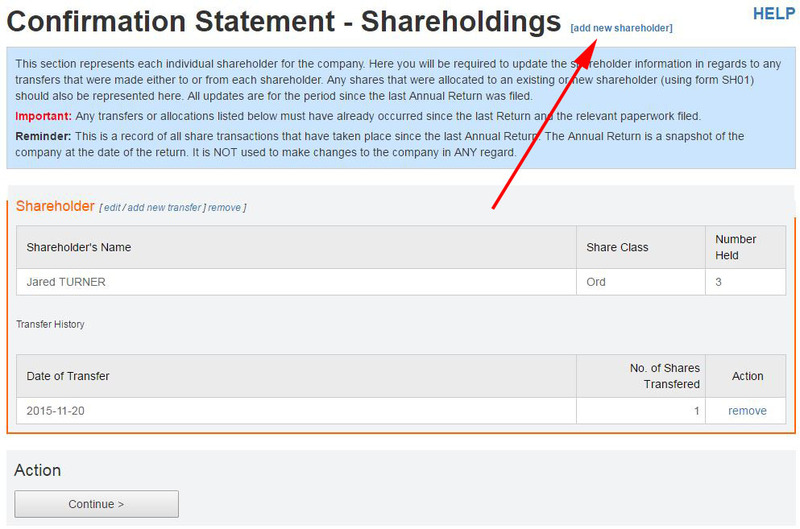 IMPORTANT: Your new corporate shareholder will require a share certificate. You can download a blank share certificate from your dashboard, simply log in, click Statutory Forms > Share Certificate Template.